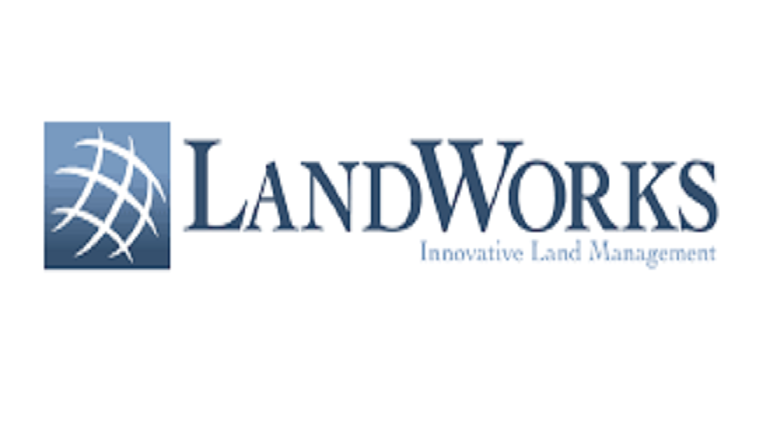 HOUSTON, TEXAS, July 19, 2016 – LandWorks Inc., a developer of innovative land management solutions, today introduced Release 5.50 of its three primary software suites – LandWorks Property Management, LandWorks GIS, and WebMaps Enterprise GIS. All three have been re-written for easier use, greater functionality, and to fully support the Esri® ArcGIS® platform. Details on Release 5.50 may be found at http://www.landworks.com/products/. “In Release 5.50, we’ve fully integrated all of our GIS products with Esri’s ArcGISSM Online and Portal for ArcGIS®. It is now a requirement for any new clients, or when existing clients upgrade, that they implement either ArcGIS Online or Portal,” said LandWorks President Jerry Bramwell. For more information on Esri’s ArcGIS platform, ArcGIS Online or Portal for ArcGIS, please see http://www.esri.com/software/arcgis. Direct integration with Esri’s ArcGIS Online or Portal for ArcGIS gives the client full web-based GIS functionality from within the LPM interface. Clients may open an oil and gas lease or right-of-way agreement and instantly access a live GIS map displaying the associated land rights polygon. Users can update the live map with new information on the fly. “LPM is the only land asset management software with embedded live access to ArcGIS web maps from a customer’s on-premise or cloud-based GIS portal,” said Bramwell. 1) A true ad hoc report builder that lets users design and build their own reports which can then be run on demand or scheduled to run automatically. 2) User configurable dashboards that refresh every minute to provide near real-time visual reports. 3) Reports using Microsoft Office Excel and Word templates that autofill with selected LPM data when run. The flagship LandWorks Property Management (LPM) suite is a complete solution to manage any number or type of land rights anywhere in the world. In the new LPM version 5.50, users can download LPM records and work off line, then upload new or changed records and sync with the main LPM database. “We’ve long had mobile apps that allowed field agents to update contact information or project-related tasks, but allowing users to work off line from locations where remoting in isn’t possible offers convenience and expands usability,” said Bramwell. LandWorks also has added new functionality designed for greater ease-of-use in specific industries. With the new 3D Depth Viewer, customers in the oil and gas and mining industries can see a three dimensional representation of their ownership below the earth’s surface. LandWorks has added a new module to its LandWorks GIS suite that automates the labor-intensive task of realigning existing polygons to new land or parcel grid versions. The new Spatial Alignment Tool is for use in any country and in any industry that maps land boundary polygons against a vector land base. “What once required months to complete now takes hours, resulting in more accurate land agreement polygon boundaries without the high cost of manually snapping them to the updated grid or parcel data,” said Bramwell. LandWorks, an Esri Gold Business Partner, provides software and services utilizing Esri ® GIS technology. Since 1995, the company’s primary focus has been providing software products and services for managing any type of land right in any industry including oil and gas, mining, pipelines, telecommunications, electric/gas utilities, wind energy, transportation and water. With offices in Houston, TX and Denver, CO, LandWorks also offers fast, accurate mapping and data entry of land rights agreements, and has one of the largest GIS land mapping service staffs in the U.S.
Be the first to comment on "LandWorks Tightens Integration with Esri in Land Management Software Upgrades"